Following its recent success with "Messa da Requiem" in Turin by the Orchestra Sinfonica Nazionale della Rai, and in his previous performances with the Gewandhausorchester Leipzig, Tonhalle Orchester and Sir John Eliot Gardiner and in Zurich, Marianna Pizzolato sing, again, Verdi's famous oratorio of the 35th International Music Festival Canarias. 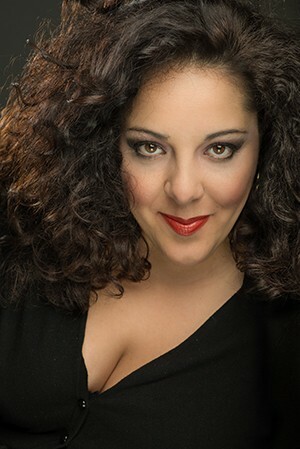 This time, the famous Italian mezzosoprano will do with the Philharmonic Orchestra of Gran Canaria, under the direction of the holder Karel Mark Chichon, and soloists Bryn Terfel (low), Mariangela Sicilia (soprano) and Celso Albelo (tenor). The appointment will be 19 January in Tenerife and 20 in the Auditorium of Las Palmas. This will be his first performance of the season in our country, before its debut next 24 April at the Teatro Real in Madrid as Mistress Quickly in Falstaff in Verdi, in the new production of Laurent Pelly. Among the next commitments Marianna Pizzolato, highlight the Missa Solemnis K 139 Mozart, next to Giardino Armonico and Rolando Villazon in Salzburg Mozartwoche, he Requiem Verdi in Paris, Y Paradise and the Peri en el Teatro Massimo of Palermo. further, grabará un nuevo disco with Sir Antonio Pappano y the Orchestra dell'Accademia Nazionale di Santa Cecilia.